Because I didn't get my traditional flat New York slice at Di Fara's, I was determined to get another slice of pizza. 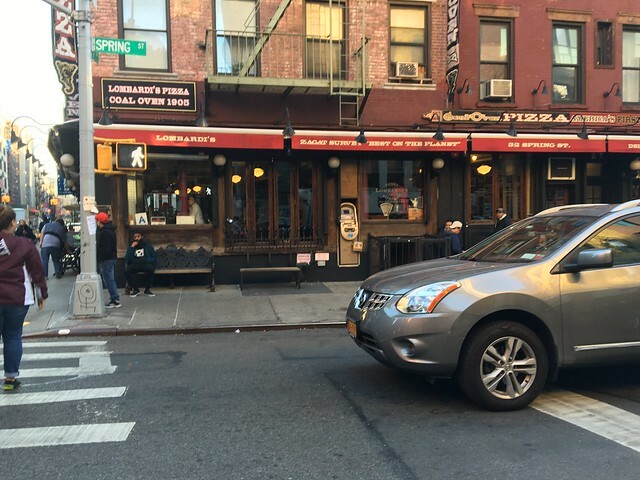 I found it in Lombardi's Pizza, which claims to be the first pizzeria in the United States. The cash-only restaurant actually had available seating as soon as we walked in (!!). Thank goodness. 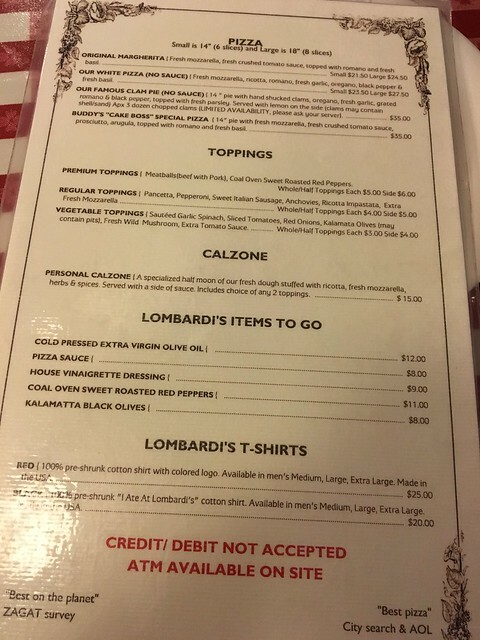 The menu listed pizzas, a few salads, calzone and just a couple appetizers. We ordered a small original margherita pizza ($22). Eeesh pricey for a small. 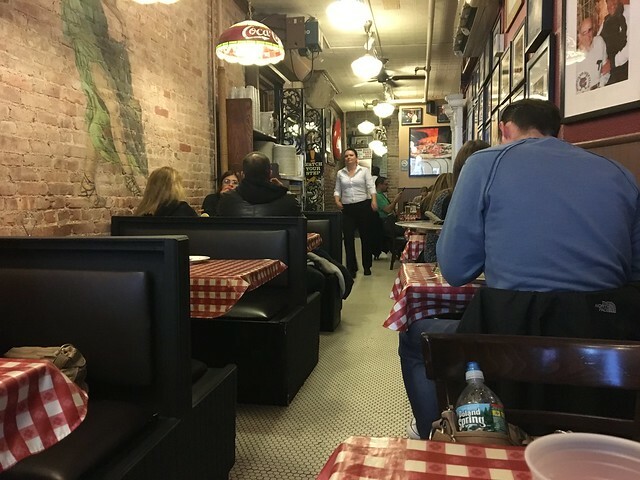 The interior of this restaurant is definitely old school Italian, with some red checked tablecloths and family photos on the wall. Cozy. The pizza was very tasty, and again, with fresh basil! 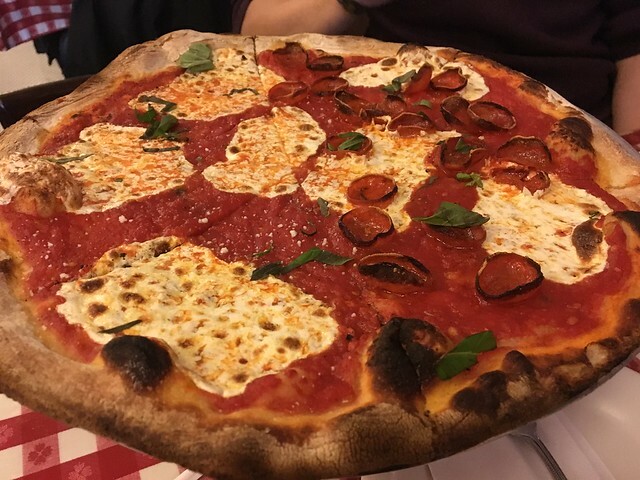 I think that's the way all pizza should be. Anyway, this was quite good. Good sauce, good flavors. Better crust.